With this post we want to start a series of detailed descriptions of the best userscripts in our opinion. Let’s start with one of the most popular – Youtube Center. 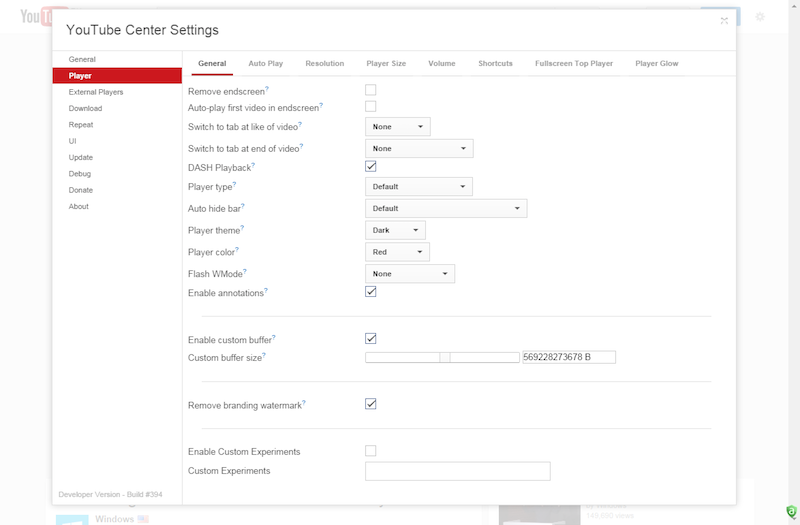 Youtube Center is a userscript that makes it easier and more comfortable to use Youtube and adds several new functions, which this site is really missing. For example, downloading of videos. 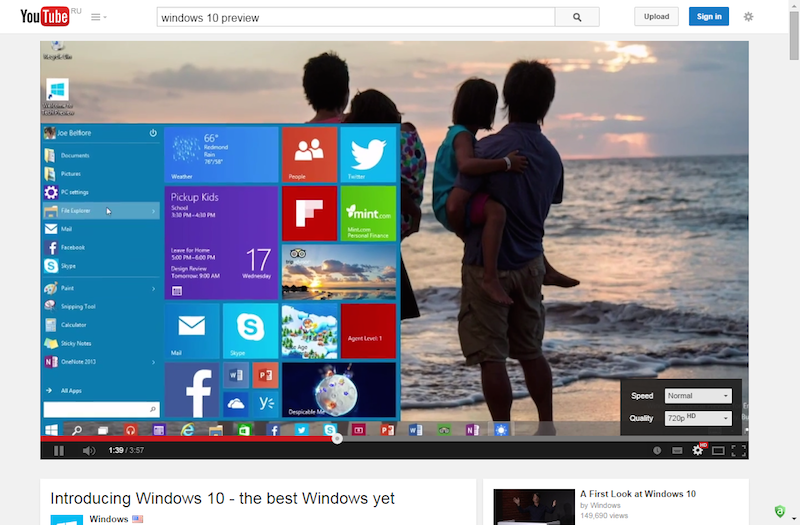 First version of Youtube Center was released in the latter half of 2011. It is created by Danish developer Jeppe Rune Mortensen, who still continues developing and supporting the Youtube Center. At present moment it’s updated to version 2.1.5. This post will be too long if we start to list all of its functions. Just look at the Settings screen, there are really a lot of them. So we are going to tell you about ones that are most important in our opinion. 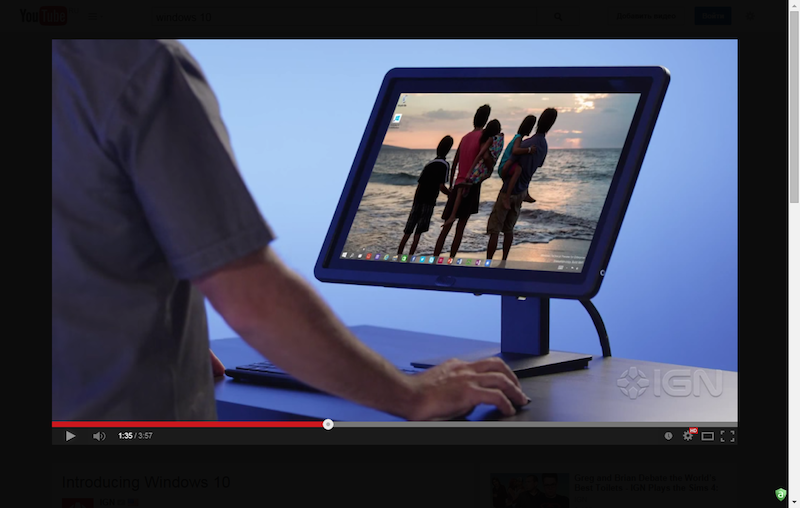 You can place a video on the page center and use the bigger player. Also, you can force HD quality instead of waiting until Youtube determines appropriate resolution. There are some more interesting functions that are difficult to demonstrate on a screenshot. Disabling of Dynamic Adaptive Streaming over HTTP (Dash). This function doesn’t let you move freely “along” the video as the buffering always restarts from the beginning. Player type configuration (Flash or HTML5). Just click on this dark background and it will disappear, giving back access to comments and other functions of Youtube. To use Lights Off, choose the Auto light off option in settings. 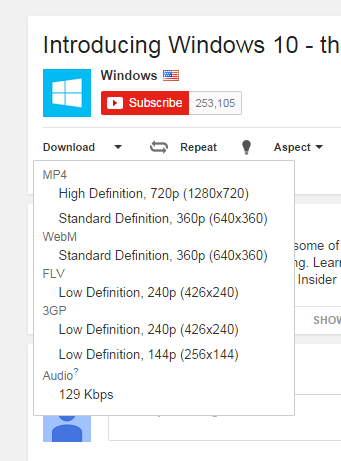 Right after installation of Youtube Center you will be able to download any video in any quality available. Go to the Extended interface. 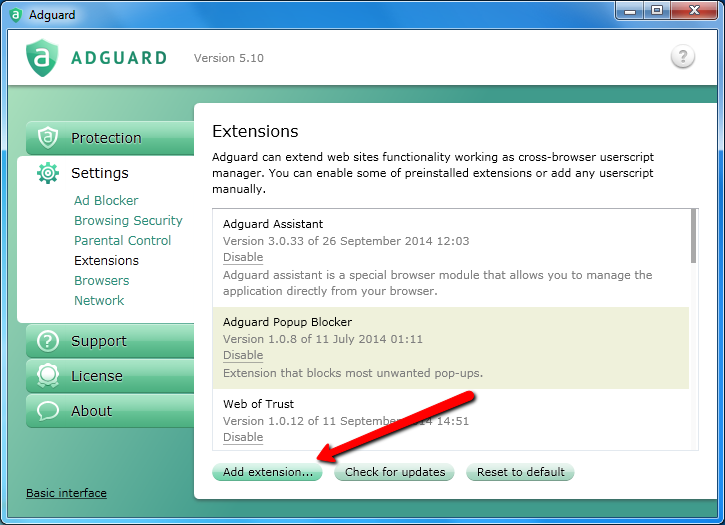 Click on Settings – Extensions. It has more features and is updated more often, but can contain some bugs (it is BETA, after all). That’s all, Youtube Center is now installed and ready to work!